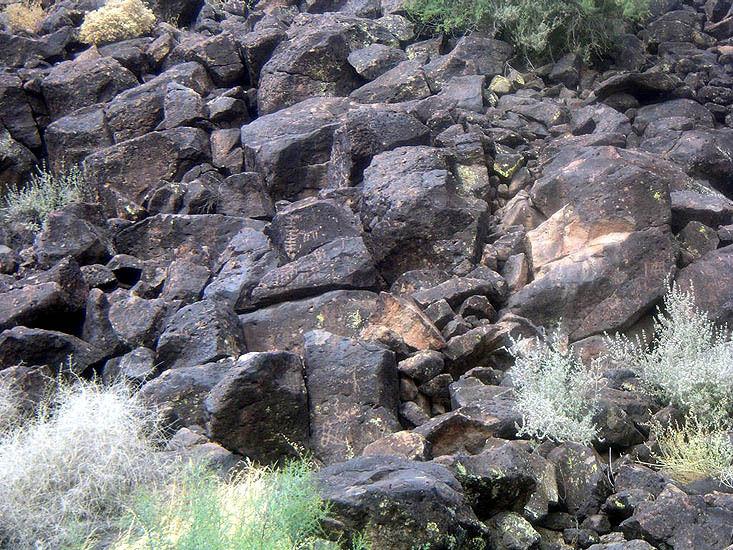 One of the main panels contains over a dozen of deer. 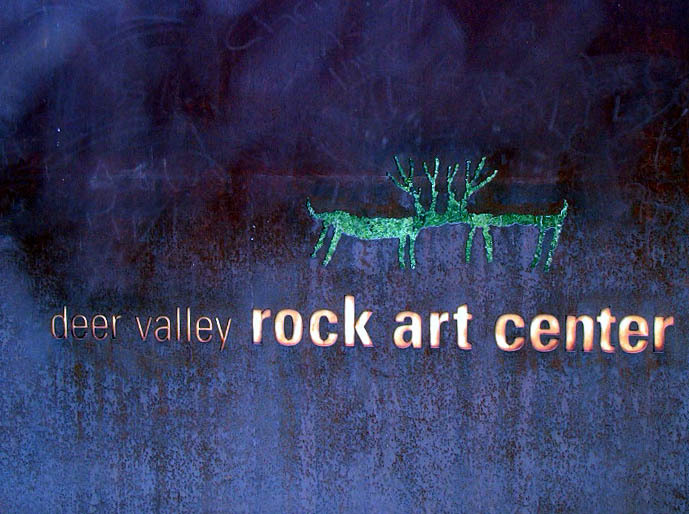 Two deers are shown nose to nose in the rock art panel. 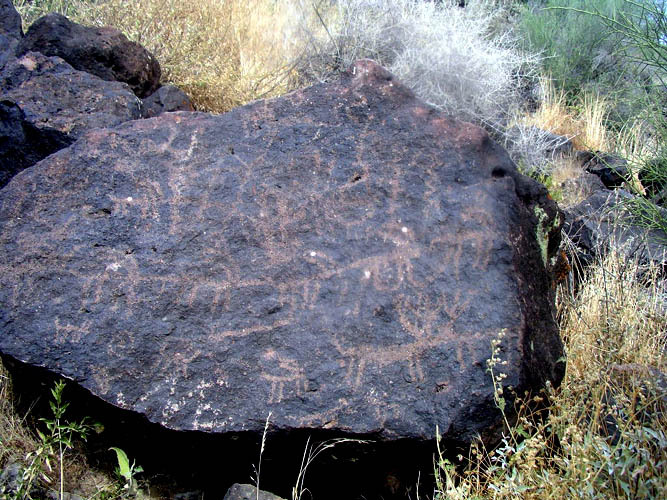 Several Native American culture groups in the Southwest have an annual deer dance. 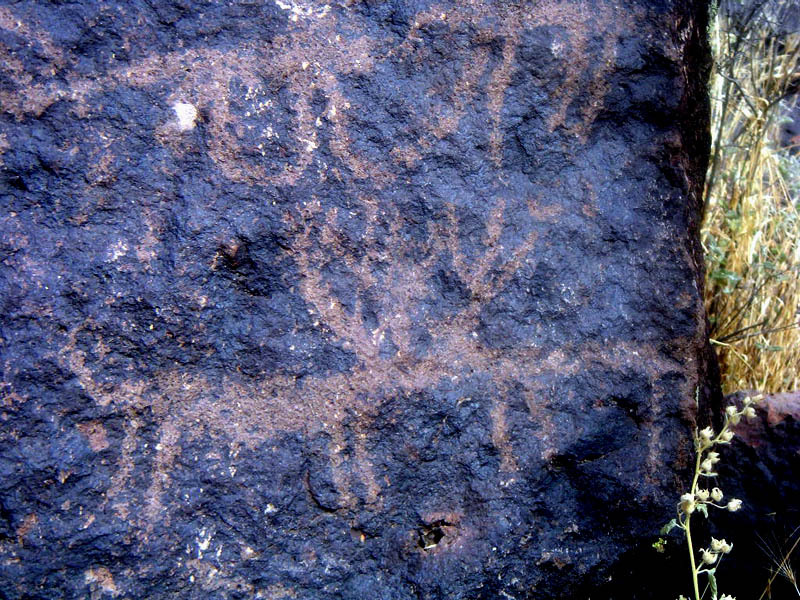 The deer imagery at sites such as Deer Valley Rock Art site could be related to annual ceremonies concerning the deer. 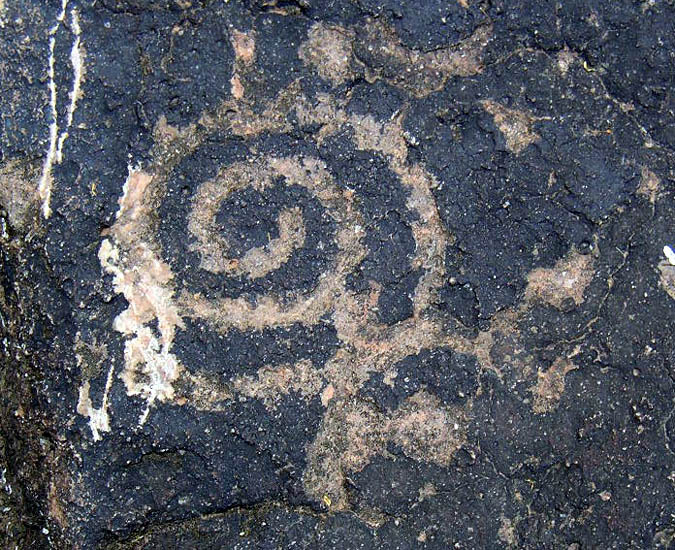 Drawing done by the archaeologists at the Rock Art Center. 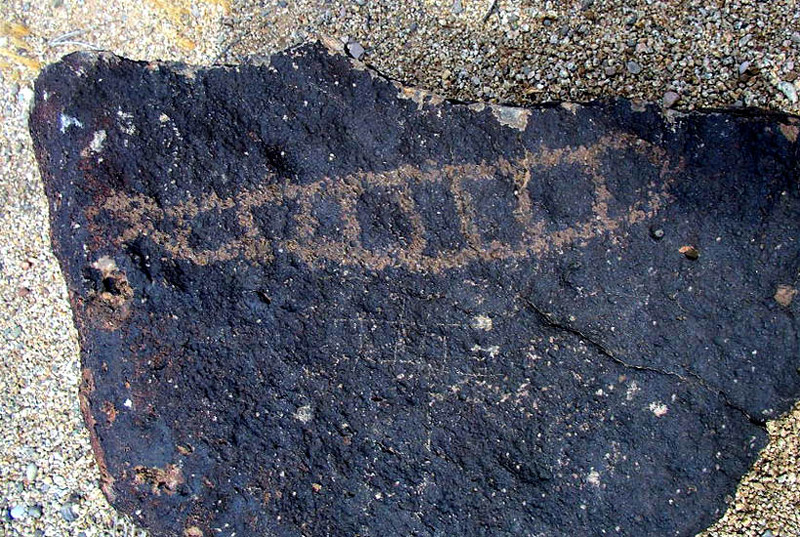 Desert Little Bear points out the petroglyph of a hand. 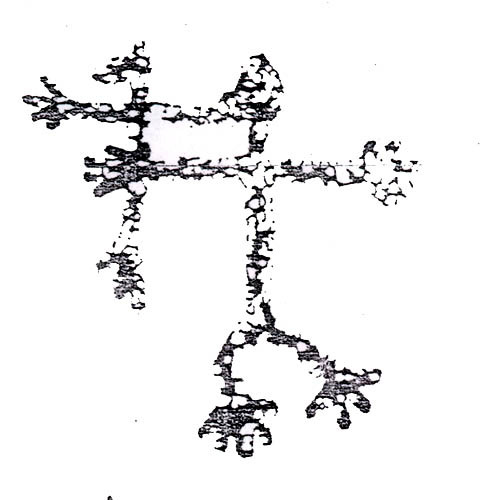 Anthropomorph (human like figure) with a design that resembles smoke or spirit rising from its right hand. 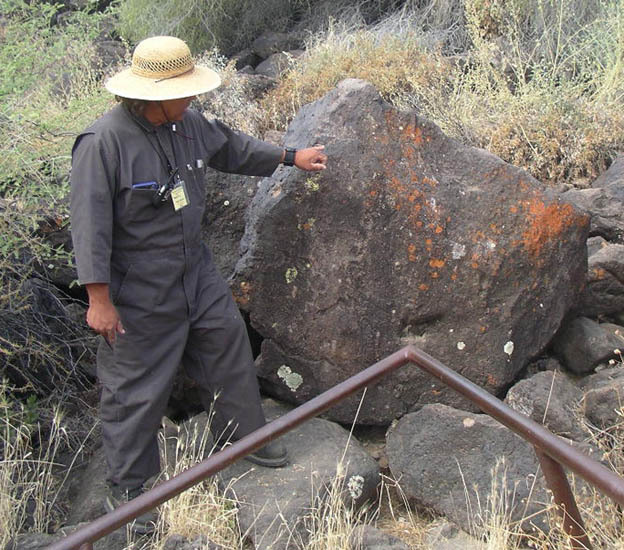 Large boulder with the design of a sun burst. 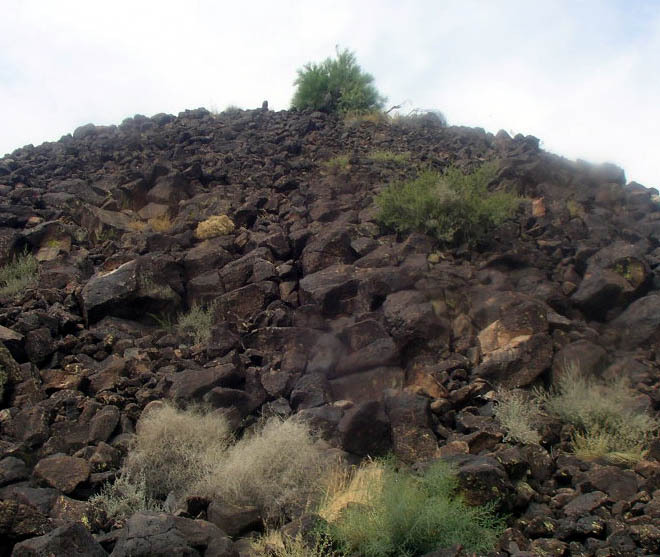 Halfway up the side of the small hill are two anthropomorph petroglyphs. 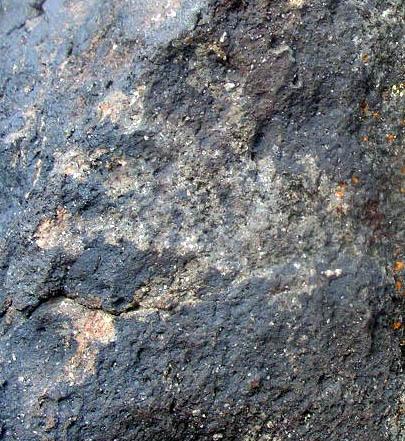 Closeup of the two anthropomorphs. 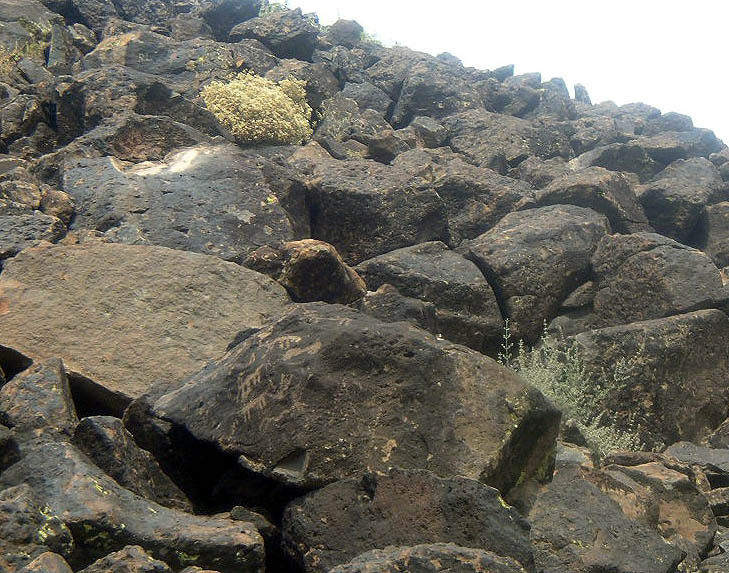 Desert Little Bear reports that Native Americans of different tribes perceive this image in different ways. 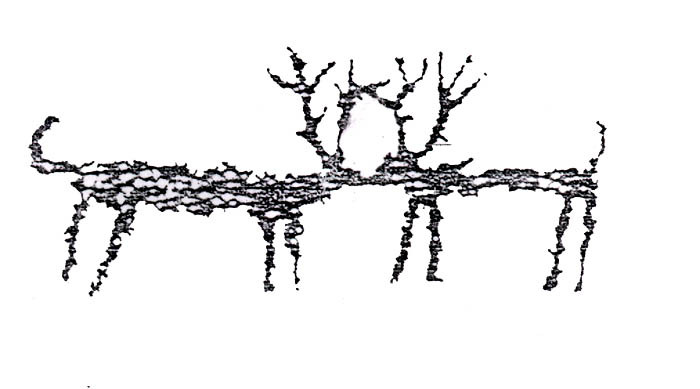 My immediate impression of the image as that this was a portrayal of Corn Spirit based upon the "root-like" attributes of its legs and feet. 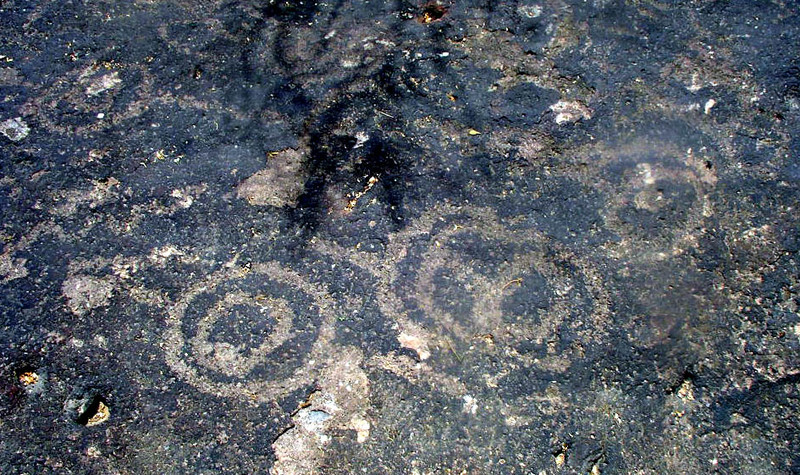 Drawing of the two anthropomorphs by the archaeologists at Arizona State University. 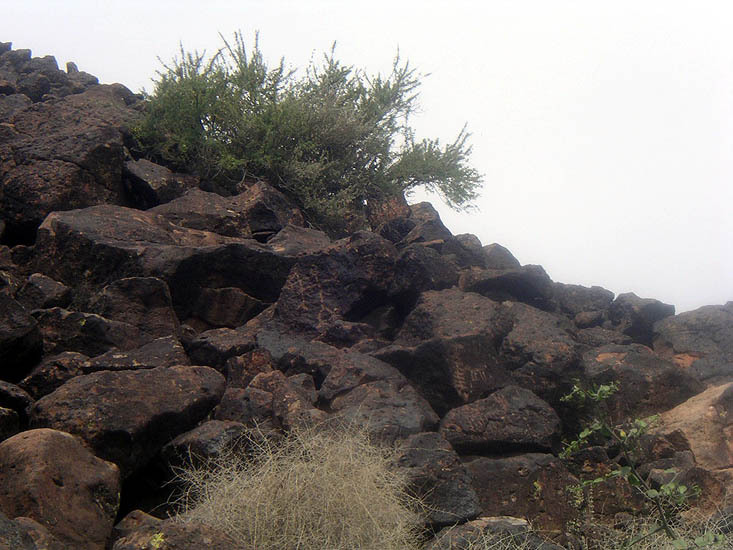 General view of the hill covered with basalt boulders. 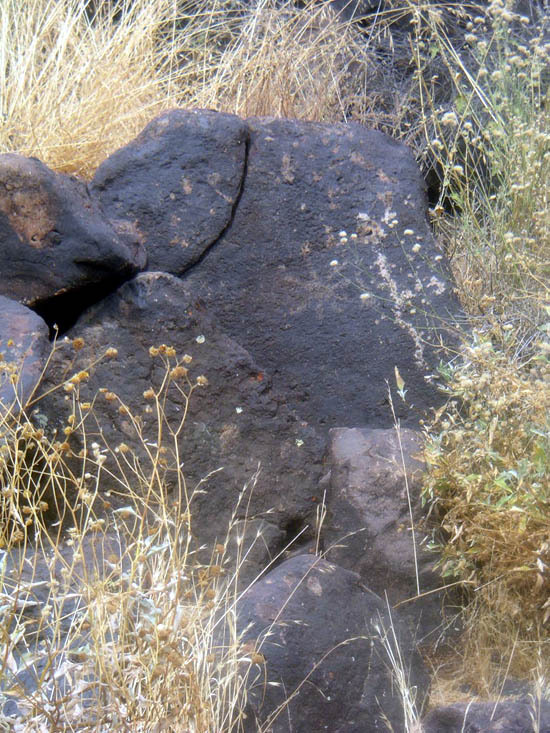 The summit of the hill could have functioned as a shrine. 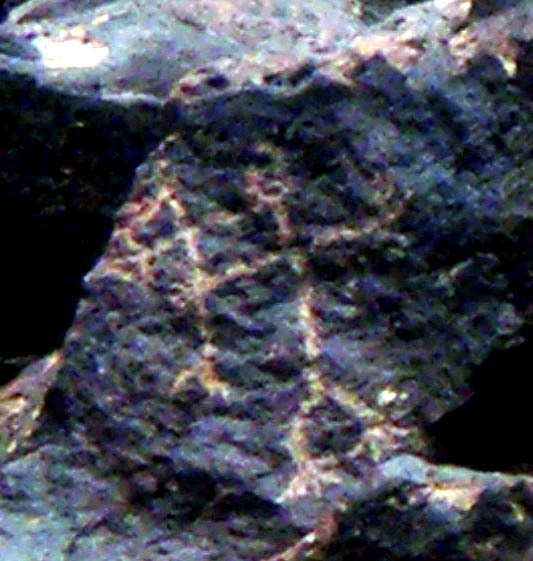 Boulder with 2 pairs of wavy line petroglyphs. 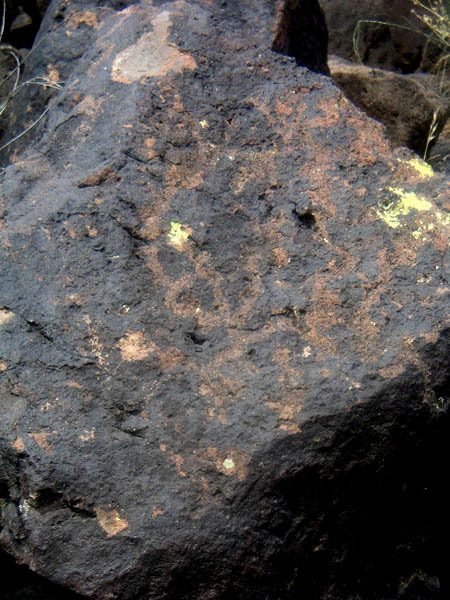 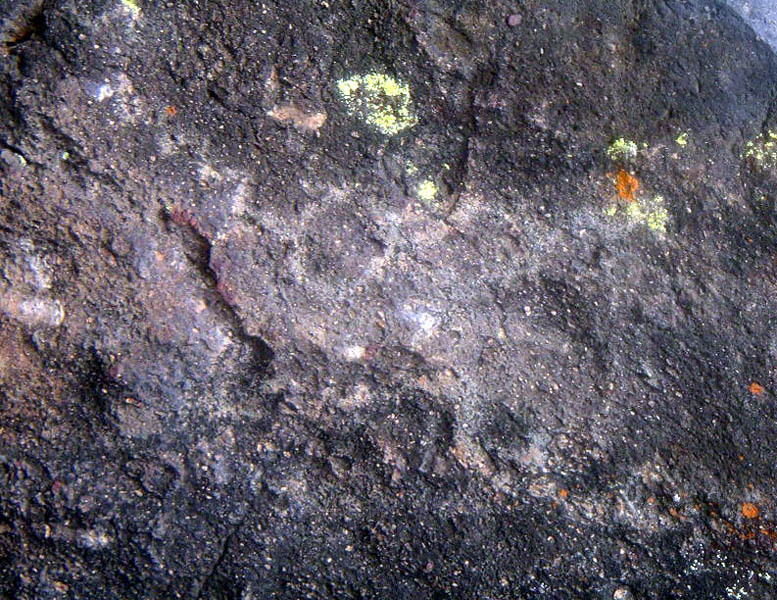 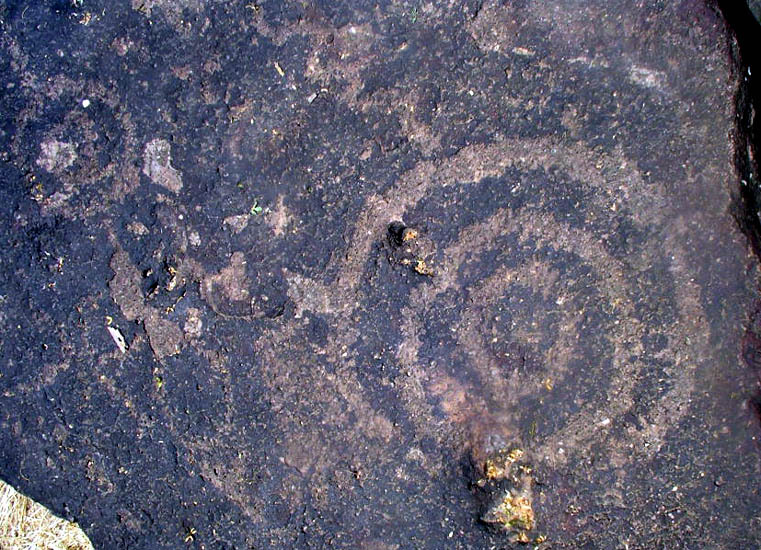 Boulder with a circle and single zig-zag petroglyph. 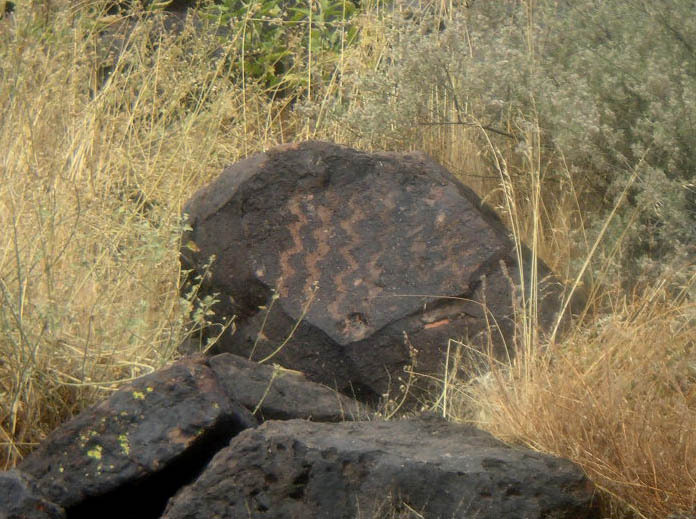 Segmented petroglyph on a boulder near the visitor's center. 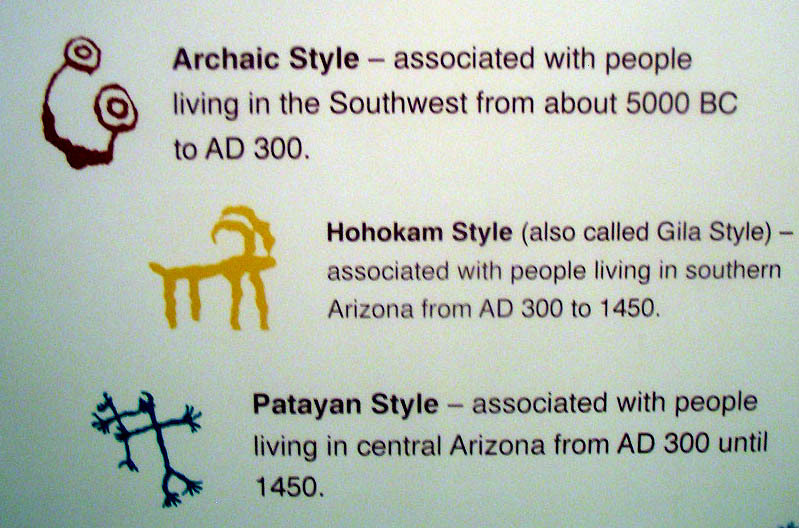 Chart from the Deer Valley Rock Art visitor's center discussing time periods of rock art in the State of Arizona. 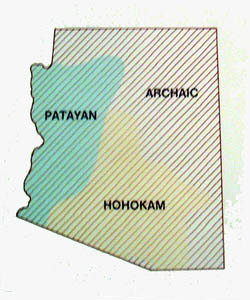 Map from the Deer Valley Rock Art visitor's center showing rock art styles within the modern State of Arizona.